The following is not a detailed study guide to the whole text of The Waste Land but a number of suggestions about how to tackle this often truly exciting yet notoriously challenging text so as to enable students to answer effectively on it without becoming overwhelmed by real or preconceived difficulties. The guide would be suited to many A level English Literature courses (AQA, WJEC, OCR or Edexcel). 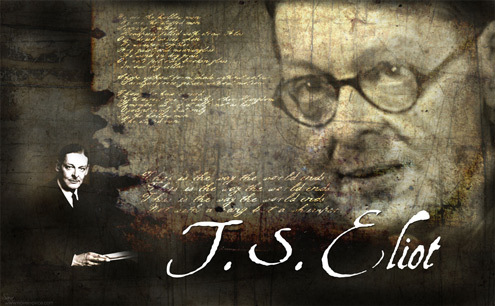 Readers will usually respond more fruitfully if they have some prior experience of Eliot’s poetry. If they are studying a range of the Selected Poems, they will already have this but, if The Waste Land is being studied on its own, my Englishedu guide to four of Eliot’s early poems should give them sufficient background knowledge of Modernism and the French Symbolists to feel more confident. If they do the exercise on Pound’s In a Station of the Metro and briefly discuss one or two of the 1915 poems, they should have the beginnings of a working knowledge of the poetic methods used. Since The Waste Land, for all its social and religious significance, is first and foremost a poem, if it doesn’t work through its “music?, form, structure and language, it won’t work with any amount of commentary. Therefore, it is helpful to begin by asking students to listen to it read (Fiona Shaw’s reading on The Waste Land App works well). They should listen to it initially without the text and a second time with brief background material (date of composition; written at Lausanne on Lake Geneva where Eliot was recovering from a nervous illness; fact that it is a modernist text) and with the written text in front of them. In this way they can match the auditory experience with the appearance of the poem on the page.